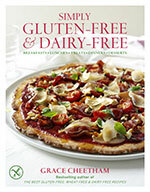 While every care has been taken in compiling the recipes and information for this website, Grace Cheetham, or any other persons who have been involved in working on this publication, cannot accept responsibility for any errors or omissions, inadvertent or not, that may be found in the recipes or text, or for any problems that may arise as a result of preparing one of these recipes or following any of the information. 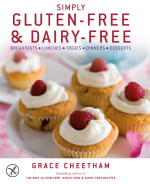 It is important that you consult a medical professional before following any of the recipes or information contained in this book if you have any special dietary requirements or medical conditions. Ill or elderly people, babies, young children and women who are pregnant or breastfeeding should avoid any recipe containing raw meat or uncooked eggs. The food symbols refer to the recipes and ingredients only, not to any serving suggestions. They are used even when only a small amount of an item is present, such as sugar in fish sauce, salt in tamari soy sauce, yeast in vinegar and seeds in sesame and rapeseed oils. Peanuts are classed as nuts and pine nuts as seeds. Also date syrup, honey and molasses are classed as sugars because they have a similar effect on blood sugar levels to sugar, but the sugar symbol isn’t used used for wine, as the varieties vary so significantly. Check the manufacturer’s labelling carefully before using any food or drink, since the ingredients used by different brands do vary, especially regarding small quantities of ingredients such as salt, sugar or oil, although be aware that manufacturers are not required to detail minuscule quantities of ingredients.